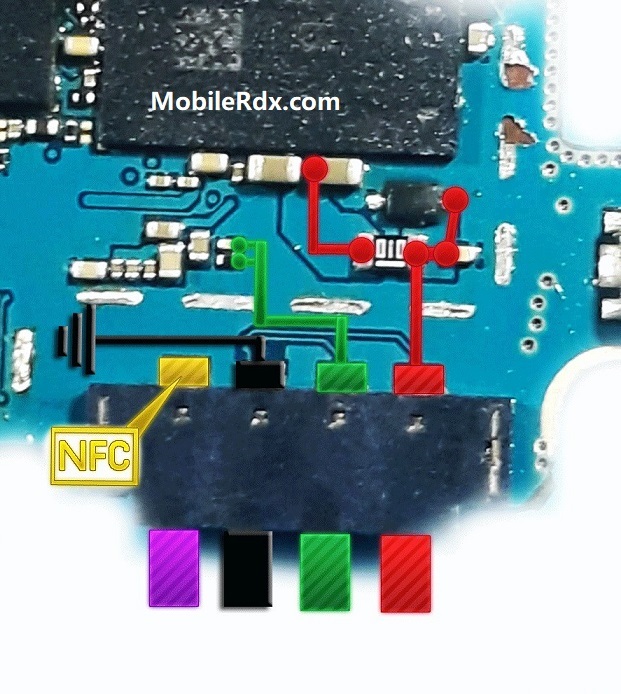 Samsung J710F battery Low then Shutdown or restart set dead fault caused by either a faulty resistor and capacitor. Here we want to share the experience how to repair this kind of damage. Damage to the battery Samsung Galaxy J7 J710F could be of the causes for the phone does get wet, padded seat battery connector corroded and rusted breaking lines. 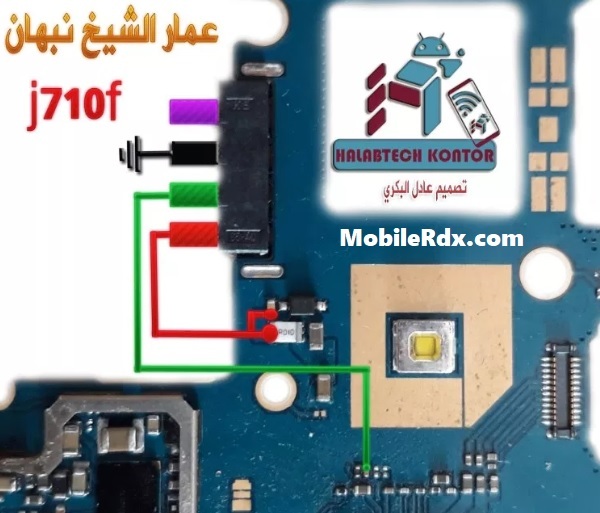 Here are tips on battery connector lines, check the track as in the picture below, if there is a path-breaking or not, if there is a path-breaking try doing jumpers carefully to avoid short-circuit condition of the phone. If Samsung Galaxy J7 J710F is not getting power ON, Replace the battery and try to power it ON. Plug in charging pin into the jack and try to make it charge. Check battery terminal’s +v and -V points with electronics meter. Disassemble the phone Samsung Galaxy J7 J710F and check battery connectors if these are loose or not fix. Then check the whole mother board for water and rust damages, Carbon or broken parts.